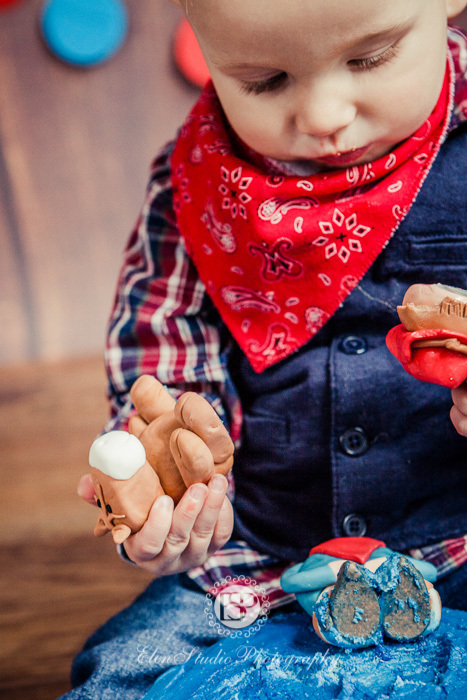 Mr J likes toy horses. 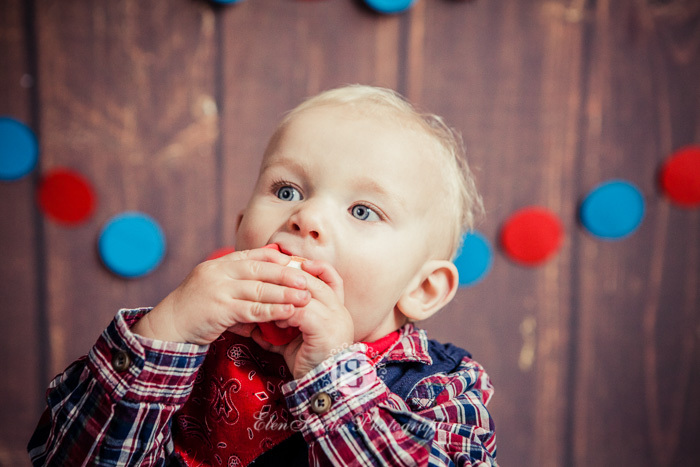 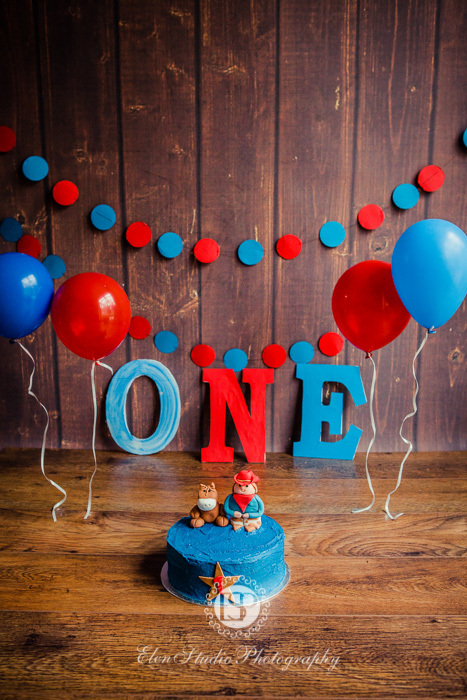 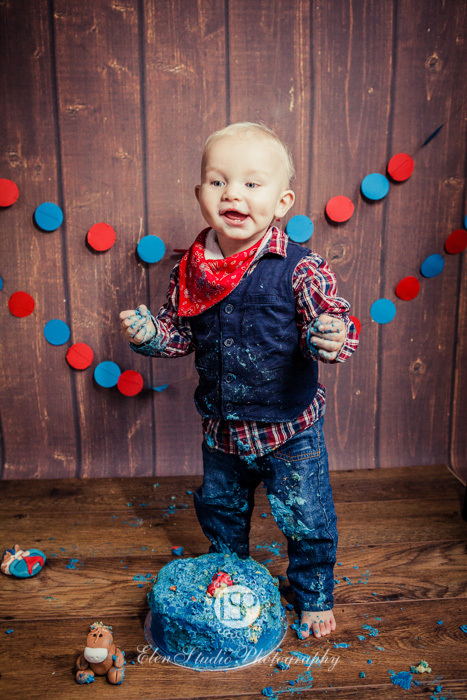 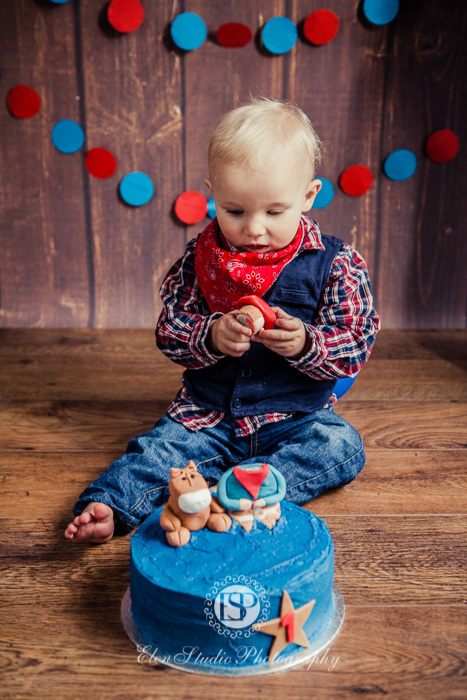 So we thought why not to have a cowboy cake smash photo session? 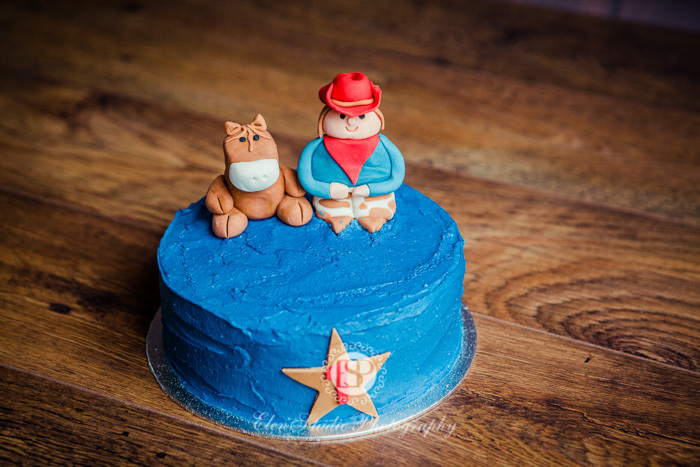 I immediately contacted my bespoke cake partner and ordered the cake with a little horse and a cowboy on the top. 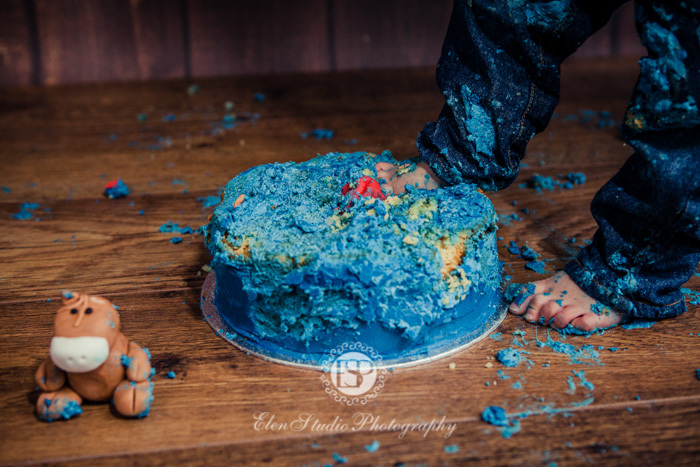 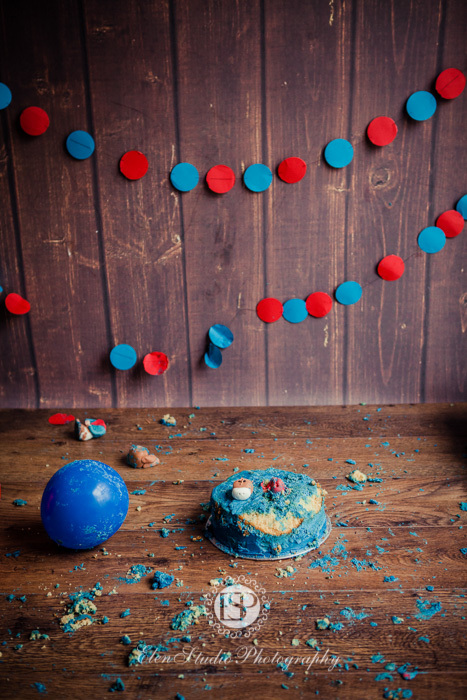 That was a new idea for my cake smash photo shoots and I was keen to see the result. 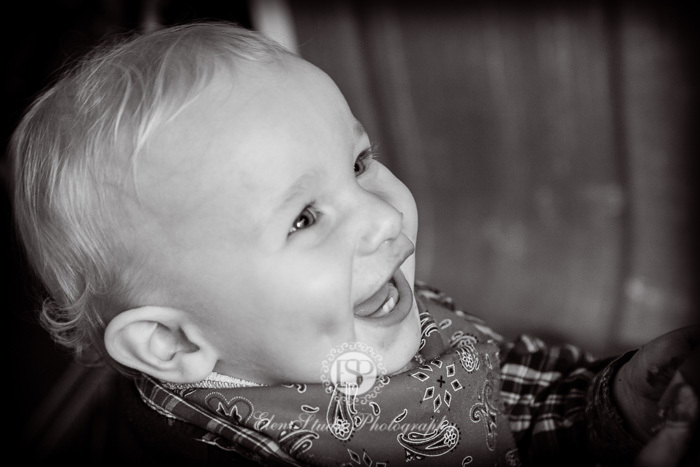 Mr J, dressed in scarf, checked shirt and jeans looked like a real cowboy! 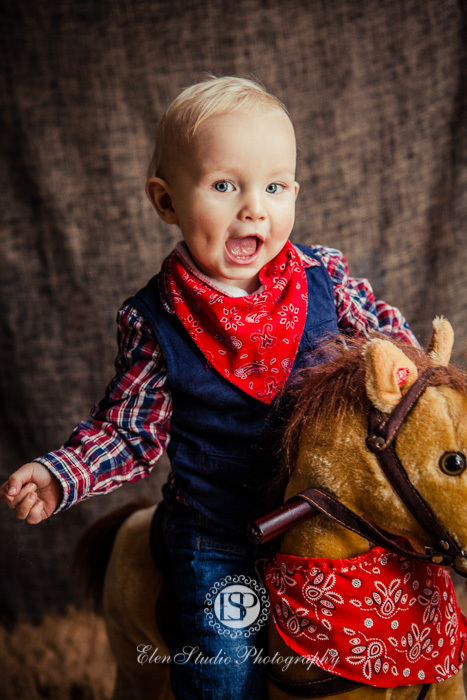 First, he had a ride on a rocking horse. 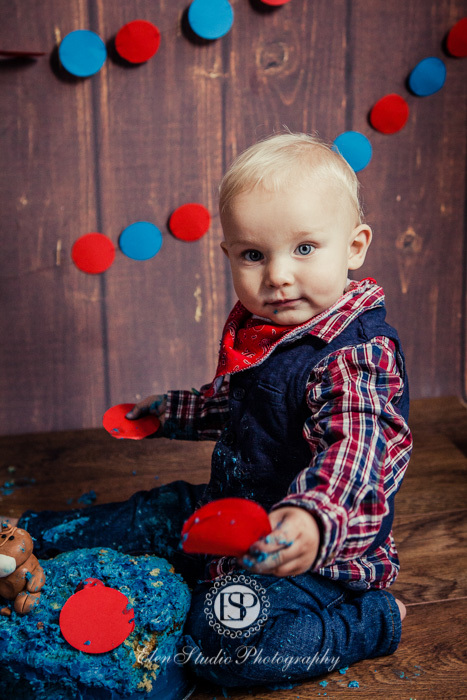 Then he played with balloons a little bit. 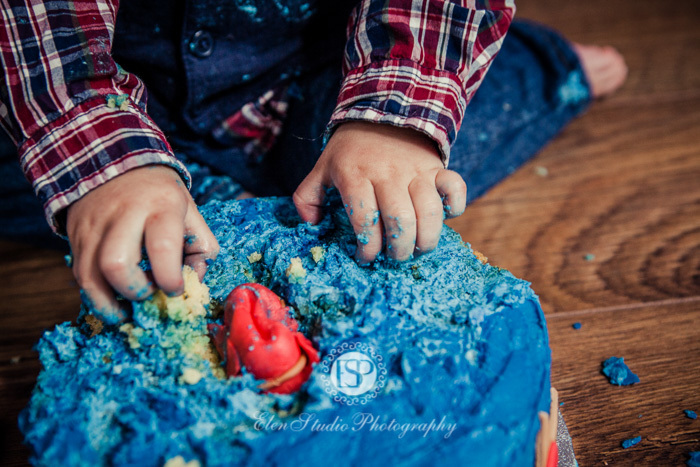 He was very curious about the cake, looked at the characters first and only then smashed the cake to pieces It looks like Mr J had fun that day! 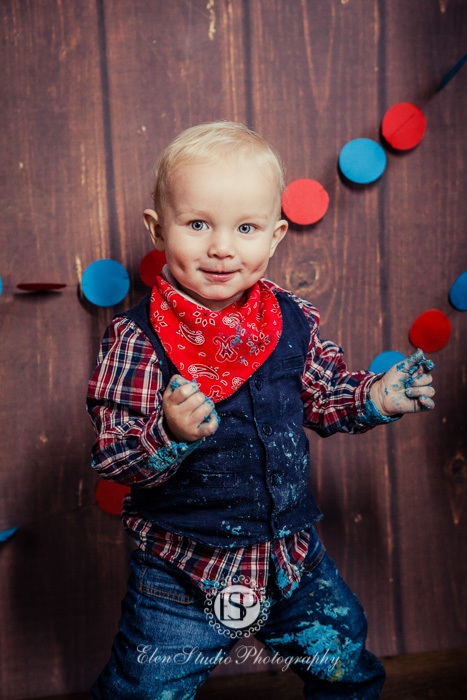 Thank you to Mr J’s mum and dad for dressing him so well!